The great Richard Attenborough seems to have influenced many people in how they look at the environment. His beautifully crafted and created nature films so lovingly put together were very entertaining but also reached the better side of our natures. We hope that his desperate plea to world leaders at the World Environment Conference in Poland and the Economic Forum in Davos may effect some change. Being a walk leader I always try and collect any rubbish we may come across in the hills or on the beaches. 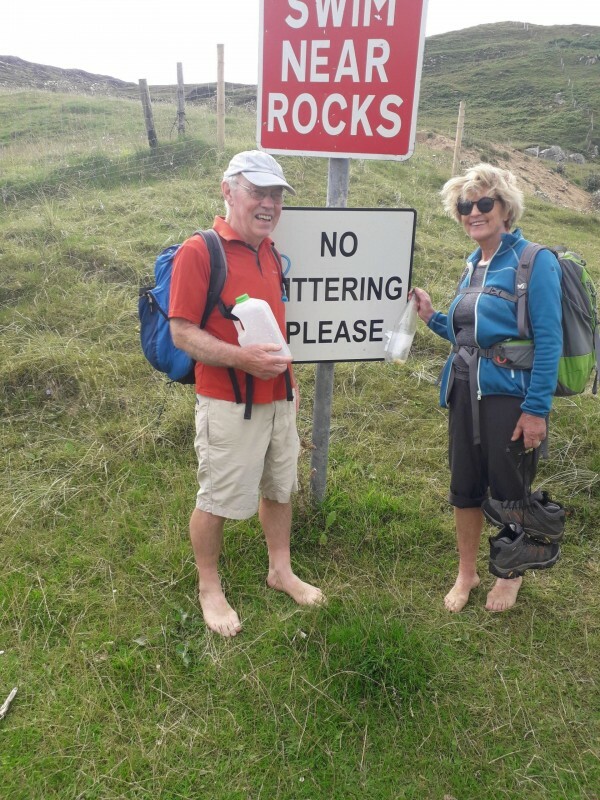 The call to pick up three objects, mostly plastic, from our beaches has appealed to many people and ‘clean coast’ groups have been formed around Donegal. Members of the Fanad coastal group have individually adopted certain beaches to look after. Picking Litter from the beach in Donegal. 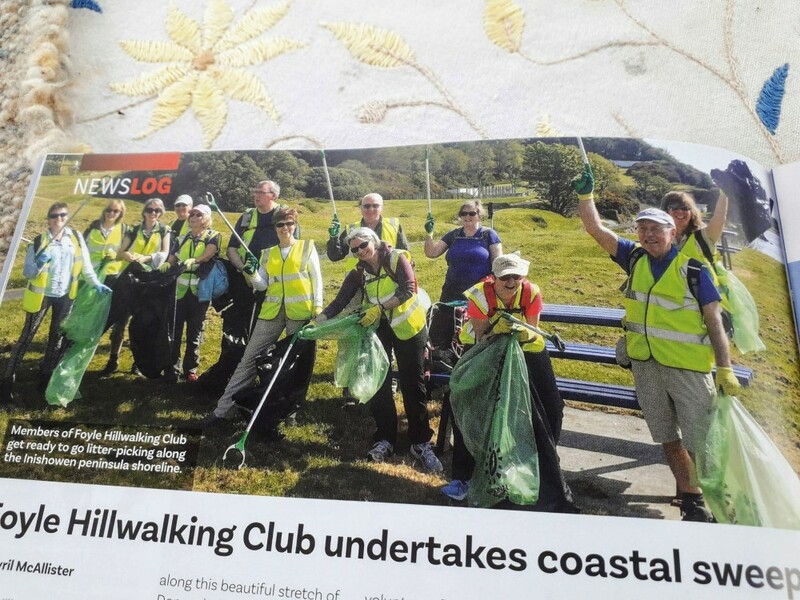 I joined Foyle Hillwalking club on a clean-up in Inishowen when the tide was out. This gave us the chance to reach areas normally under water – 12 large bags of rubbish were collected. A sad result but rewarding at the same time telling us we can do something about protecting our environment that is constantly being threatened.